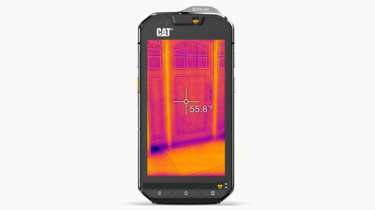 Construction giant Dewalt has entered the smartphone market with a tough Android-powered handset designed for building industry workers. The £379 (108,184.39 Naira) device is designed to survive a 2m drop on to concrete and can operate in temperatures ranging from -20C to 60C. Rival firm Caterpillar has already established itself as a brand in the physically tougher smartphone sector. The so-called "tough phone" market is flourishing. 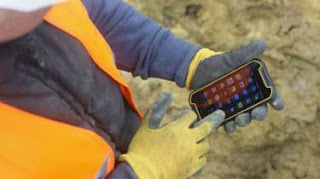 "Lots of people in the trade and construction industries, as well as outdoor sports enthusiasts, have realised that just having a thicker case isn't going to see them through," said James Booker, purchasing manager at UK firm Tuffphones. To be certified as a "tough phone", handsets have to undergo more rigorous physical tests, including being subjected to tumbling - turned over and over inside a device for long periods of time, Mr Booker explained. They also have to be water and dust proof. Because they are sturdier, they can also incorporate a bigger battery, he added - the Dewalt phone claims to offer up to eight hours of talk time. "One of the main things about traditional smartphones is that they are svelte and slim - there's an obvious correlation with how large a battery they can get in there," Mr Booker said. While most of its specifications are fairly standard for the sector, Dewalt's MD501 phone comes with in-built QI wireless charging, which is unusual, he added. Its touchscreen is made of commercially manufactured Gorilla Glass - a highly robust but thin type of glass that works with gloved hands. The handset is a collaboration with Global Mobile Communications, a rugged phone specialist.